Heidi is a native of Switzerland. She came to the United States in the early 80s. While residing in New Jersey she worked at jewelry stores in Princeton and Skillman where the seed for her passion to create her own jewelry designs was sown. After moving to Vermont she decided to fulfill her dream and began crafting her own jewelry. Heidi holds a Graduate Pearls Diploma from the Gemological Institute of America. She travels to international and domestic jewelry shows to find quality gems for her jewelry designs and creations. Heidi designs and crafts her necklaces, bracelets, pendants and earrings herself in a private studio located in the scenic Mad River Valley in Central Vermont near the Sugarbush and Stowe ski resorts. Her jewelry designs are unique and inspired by the beauty of Vermont’s nature. 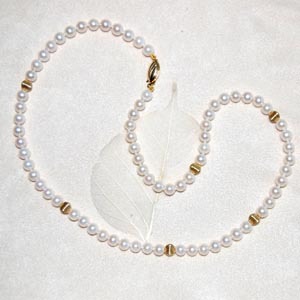 They can be worn at any occasion, by a bride and bride’s maids at a wedding reception or casually at an outdoor party. If you see a design you like, please contact Heidi to see, if the item is still available or if she can recreate it or create a similar design. She will also gladly discuss your design ideas and your plans with you. Where can you find Heidi’s Jewelry? 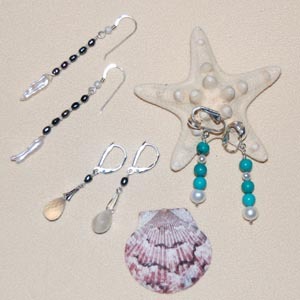 Heidi offers her jewelry collections for sale at local Farmers’ Markets and Craft Shows. 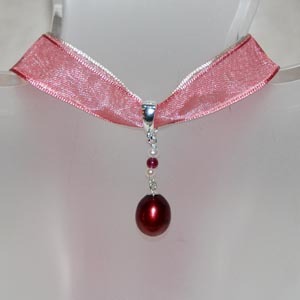 You can also view her creations by Appointment or buy them over the Phone. Because she sells her jewelry directly to you, she can keep her prices affordable.